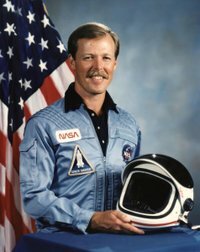 If you have not met with a NASA astronaut before, then this may be your only opportunity. Robert Gibson will be coming to Penang next week. You may have seen him during the live telecast of Malaysian Astronaut flying into orbit. He will give a public lecture on manned space exploration. Here are the details.